The Warsaw of the inter-war years was an exciting place to be. Buoyed by the nation’s newfound independence, the capital’s social life thrived in a way that had not been seen before. In culinary terms, a handful of restaurants stood out, most notably those found in the Europejski, Polonia Palace, Bristol and Savoy hotels, as well as Oaza on Wierzbowa. Engaged in close competition with each other, both the Europejski and the Bristol enjoyed a reputation for lavish dinners, with the latter being the scene of Józef Piłsudski’s historic ‘farewell’ banquet in 1923. Viewed as the ‘father of Polish independence’, Poland’s most celebrated statesman chose the Bristol to announce his short-lived retirement from public life. Menus saved over the from the era reveal much for the tastes of the time, with one 1927 card from the Bristol revealing several dozen dishes among them ‘English-style carp’, saddle of hare with blueberries, and mutton curry. Crayfish soup was a particular favorite and featured prominently in aspirational restaurants. Surprisingly, dietary fads had also taken hold; for women, a slender figure was much sought and as a result vegetarian courses were prevalent on menus – in fact, even in these inter-war years, the Polish capital could boast two dedicated vegetarian restaurants: Braterstwo on Marszałkowska 120 and Warszawskie Zrzeszenie Jaroszów on Al. Jerozolimskie 25. Of course, not all venues were as health conscious. Butter was still a relatively expensive and exclusive commodity, so the restaurants of the time liked to emphasize its use, often elevating it to the status of a hero ingredient. Across the Western world, countries embraced the Roaring Twenties and at the heart of the good times was dance. Warsaw was no different, with the Savoy Hotel on Nowy Świat 28 being the original venue to offer ‘dancing’. In many ways, it was a pacesetter with anecdotal evidence suggesting that it was the first such club in which single women could enter without running the risk of being accused of prostitution: a moral revolution had occurred! This was taken further by the opening of Adria (or, to give it its full name, Riunione Adriatica di Sicurtà). Playing the swing sounds that defined the era, its name became known the whole country over – between 1931 and 1933 alone, it’s said that 2.5 million customers passed through its doors. Its attractions were numerous. Featuring a 1,500 capacity basement dance floor with a rotating, rubber floor (to prevent dancers from slipping), its various frills included a winter garden replete with cacti and exotic birds, trendy American cocktails such as the Manhattan, water fountains, air-conditioning and three house orchestras. Nights were legendary. 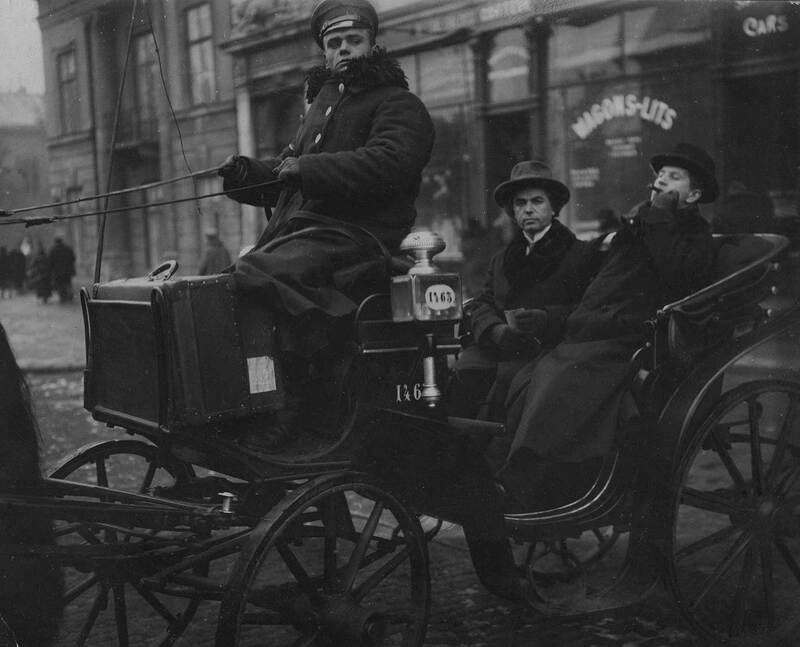 Although purely apocryphal, one story claimed that Piłsudski’s aide, Bolesław Wieniawa-Długoszowski, once entered on horseback. Lower down the scale, Gruby Józek (Fat Joe’s) drew all sections of society, from uniformed army officers to dapper underworld figures and raggedy porters from Hala Mirowska. Open round-the-clock, its proprietor, Józef Chargeski, earned near mythical status his ability to drink over a liter of spirits. His premature death brought the party to a close and was mourned widely. This though wasn’t the only short-lived legend. 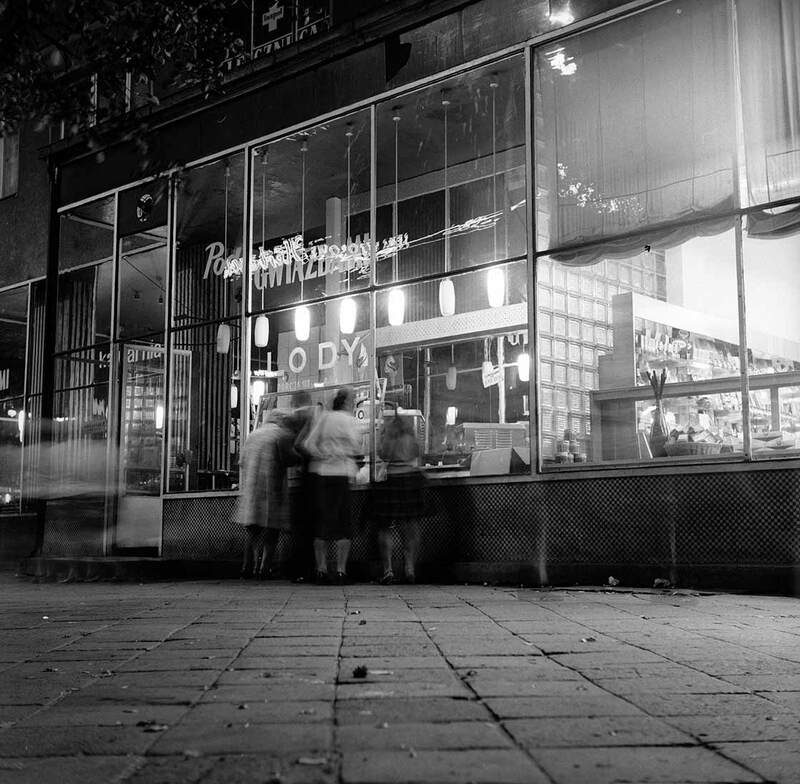 Opened in 1939 by Eugeniusz Bodo (‘the Polish Charlie Chaplin), Café Bodo on Foksal 17 was briefly installed as the center of Bohemian life only for its future to be cut short by the German invasion. The privations of wartime were countered by ingenuity. Published in 2002, a collection of recipes set down by Maria Karpowiczowa during the Nazi occupation demonstrate the creative methods that were commonly employed. ‘Wartime sponge cake’, for instance, substituted flour with potato puree. Other widely-used shortcuts included brewing ersatz tea from linden flowers and using stale bread to make cutlets. Such is the scale and comprehensive content of the Rising Museum, it’s natural to leave only remembering ‘the big bits’. Quite often though, it’s the tiny little things that can make the biggest impact: bloodied armbands, a cracked pocket watch, a shredded toy… Add to these overlooked items a chocolate bar. 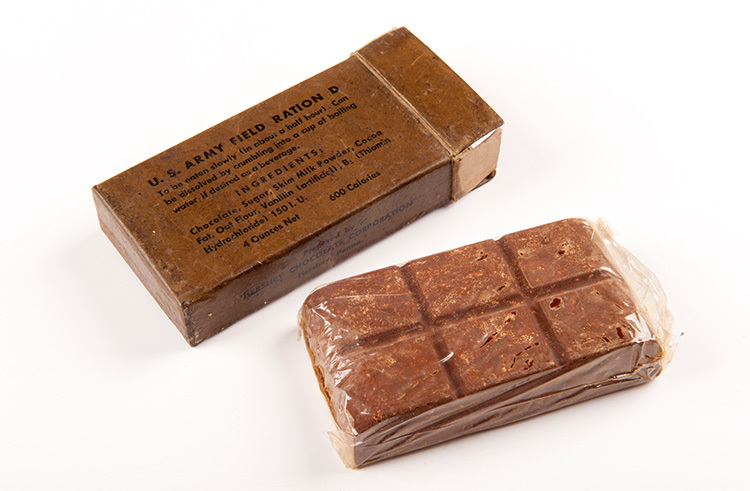 Known as Field Ration D, it was one of many Hershey chocolate bars that found its way into the supplies that were airdropped onto Warsaw by the Allies during the 1944 Uprising. Weighing four ounces, they were purposefully designed to provide calories, boost energy and survive high temperatures without ever melting. Taste was not a factor, in fact, food technicians specifically intended that the chocolate would carry such a flavor that people would never eat them out of choice. In that they failed – by the war’s end Hershey were rolling out 24 million bars a week to keep up with demand. While the Poles suffered, the occupying Nazis enjoyed all the perks of conquering masters. That included a rich choice of bars, clubs, cabarets and restaurants. Logically, these became a prime target of the Polish underground. To this day, it’s not difficult to find plaques attesting to daring raids and assassinations carried out by Polish units. For example, Nowogrodzka 15 – where Namaste Indian restaurant now stands – functioned as a brothel. In 1943, an attack by the Peoples Guard left 18 SS and Gestapo officers dead. In the same year, a lone wolf hit on Café Adria on Moniuszki 10 resulted in the death of three Germans. In 1944 the club – which was famed in pre-war times for having twittering birds flying around its interiors – found itself utilized to serve as a canteen for insurgents partaking in the Uprising. If ever there was an indicator of greatness, it’s surviving the death of the system that spawned you. Granted, pedants will note that milk bars (bar mleczny) pre-dated Communism, but it was in the post-war years that these state subsidized canteens hit the peak of their arc. So named for their predilection of serving dairy-based food, they became a standard part of life during the single party system. Many have survived to this day, and while plenty have rebooted as on-trend private enterprises run by young ambitious owners (e.g. Prasowy), there are others that serve as a glimpse back in time. Bar Sady in Żoliborz is a Warsaw classic, as is Bar Bambino in the center of town – it’s claimed pop babe Doda is occasionally spotted. The political thaw that followed the death of Stalin released a rush of pent-up energy. Of the clutch of hangouts Varsovians had to choose from, few were as notorious as Kameralna on Foksal. Gathering here were prostitutes and gangsters, artists and authors: keeping them in check, Pan Mieczysław, a giant doorman who would throw people out ‘with the strength of a tornado’. Polański, Tyrmand and Osiecka are all said to have been regulars, with the drink of choice called Cognac with Southern Fruit (vodka and pickles). In a similar vein, SPATiF on Mokotowska attracted the stars of the day, their drunken circle frequently infiltrated by undercover agents in search of juicy gossip. Together, they formed a mini bar crawl that was dubbed ‘the trail of disgrace’. Life wasn’t bad if you were part of the elite. Through the 50s, Rarytas on Marsałkowska 15/17 earned a name for luxury spreads featuring lobster and French wine and cognacs. In later years, if you had the readies, then you’d have probably been found propping up the bar of the Victoria Hotel. Finished in 1976, it offered those who could afford it a tantalizing glimpse of the Western world. The favored haunt of shady Arab ‘businessmen’, it was in 1981 that a fellow called Tahar Sharlik Mahdi was brazenly gunned down. A big player in a terrorist cell called Black September (responsible for the 1972 Munich Olympics massacre), the Palestinian was allegedly passing through to plan the assassination of the Egyptian president. His killer was never caught. For the everyman, life was more of a challenge. 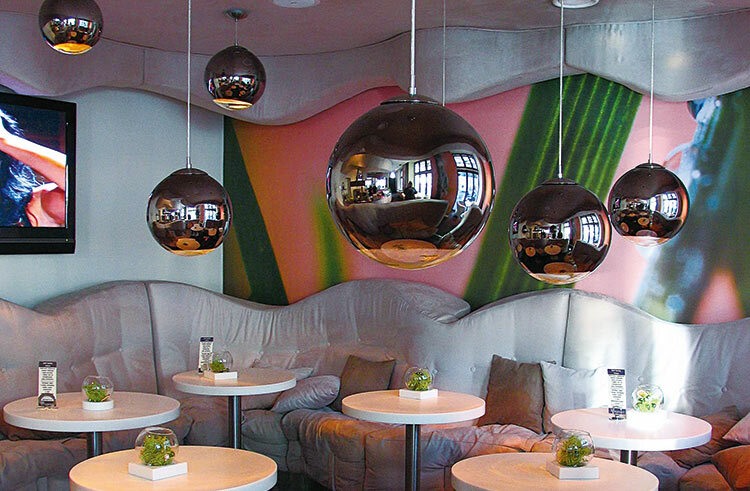 Despite that, a small but active café scene emerged, with legendary venues including the 900-seater Olimp on the top-floor of the Grand Hotel, and artsy Lajkonik on Pl. Trzech Krzyży. Though closed in 2003, the original artwork painted by the regulars (e.g. a devil with horns) was restored a few years back by the address’s new tenants – none other than Starbucks. The grocery front was more depressing, with empty shelves an all too familiar sight. No wonder then that the opening of SuperSam – Poland’s biggest supermarket – nearly sparked off a riot when it launched in 1962. Despite being rated as an exemplary piece of modernist architecture, it fell to the wrecking crews in 2006. In a nation still struggling to shake off its communist hangover, the opening of the country’s first McDonald’s in 1992 made headline news. “It sounds stupid now,” says one Insider, “but at the time it really felt like a sign that Poland had joined the wider world.” Situated on the corner of Świętokrzyska and Marszałkowska, the first day drew a crowd in excess of 45,000. In the early days following the political transformation, it wasn’t just the food that would come close to killing diners. Warsaw’s mafia wars saw a spate of high profile shootouts and murders conducted in restaurants and bars: from gangland hits in TGI Friday’s, to revenge executions in shopping center food courts, eating out had the potential to be risky. For many, the period that fell between the end of communism and initiation into the EU represented the glory years of Warsaw. A unique time in which Poland learned to have fun again, it was an era of debauchery and wild, wicked nights: from expat escapades in the dungeon-like Morgan’s pub, to chemically enhanced sessions in the riotous Piekarnia, the capital was a magnet for chancers and charlatans living life on the edge. And how we loved it. Seeds were sewn for the future. Aside from discovering a voracious appetite for sushi – a precursor to the more exotic tastes the city would later acquire – there were several pioneers that stood out for doing things differently. Though no longer around, venues such as 99, Sense and Soma taught the public lessons about standards they should expect. They do not stand forgotten. Credit where credit is due: the Polish food revolution wouldn’t be where it is without the efforts of Jan Wejchert. It was on this media mogul’s behest that the Roundtable Business Club was established at the turn of the millennium. The idea was simple: to nurture the best and brightest young Polish chefs. Under his patronage, it became an incubator for talent. And among the early chefs to pass through the pantry? A skillful hope by the name of Amaro. at the core of the movement, the capital’s ‘Vegan Square Mile’ in the south central district has won global attention for the depth of its offer: from fine dining to sushi to multi-ethnic dishes cooked by refugees. It’s all here, it’s all good for ya’. First, let me take a selfie! The social media revolution has helped drive trends and influenced what we eat, where we drink and how we do it. Think Charlotte, Nocny Market, Hala Koszyki, the Wisła, and so forth and so on: all strong concepts, but made all the stronger thanks to the viral whirlwinds that have whipped up around them. Warsaw is living proof that you really can have too much of a good thing – burgers, for instance. In all walks, impersonators and imitators continue to multiply, with original ideas ambushed by copycat replicants that strike whole scenes dead. Slow food, local produce, craft kitchen and artisan techniques. 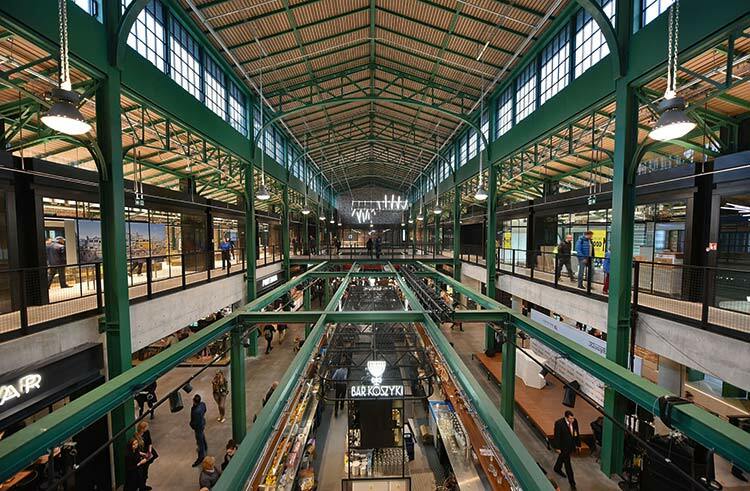 The interest in high quality has kicked Warsaw forward into uncharted waters. From this all, the last few years have seen a surge in radical breweries, farmers’ markets, and a whole wave of people that really care about what they consume. Demand has been met by supply: today, we eat and drink well.